← "The Young Pope"??? 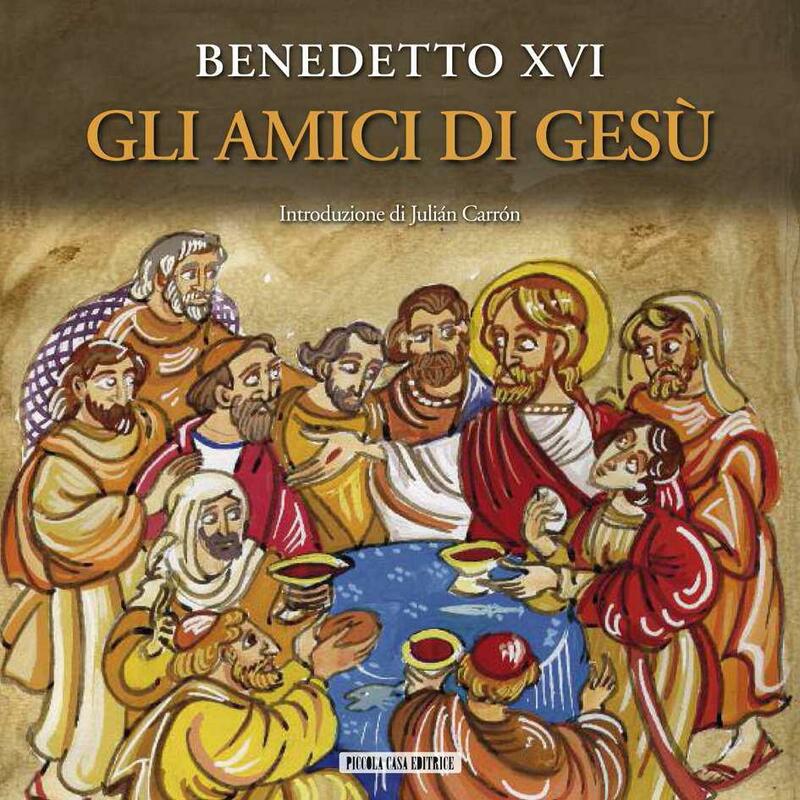 Everyone's Favourite Friar on "Salt and Light"
But the complaint has a new target, namely, a new book for children based on passages from the Holy Father’s weekday catechesis on the apostles and called “Gli Amici De Gesu” (“The Friends of Jesus”). Probably the problem is with the expectation that the title sets up, namely the use of the word “amici”/”friends”. In fact, the book is specifically about those who are recognised as “apostles” by the Church. The 14 “amici” are thus the twelve apostles (including, nota bene, Judas Iscariot – was he a “friend” in the conventional term?) + the two “johnny-come-lately’s” of the apostles, Matthias and Paul. I have often noted, for instance in children’s addresses at church on Sundays, that when talking to Jesus the term “friends” is regularly used instead of “disciples”. That seems to have been the intention of the use of “amici” here. The complaint seems to have originated, therefore, in the misplaced expectation that the book would be about ALL the people who could be described as Jesus’ “friends” (which, of course, includes many women as well as men), rather than specifically about those “friends” who were also his apostles. The latter, however, is clearly the intention, as the inclusion of Paul indicates. Paul could not be called (in the conventional sense) a “friend” of Jesus, as he never met or knew him during Jesus’ life and ministry. That all the apostles WERE men remains both a fact and a signficant point which those making this present complaint would themselves like to have “edited out” of the historical record for their own purposes. As for malicious intent on the part of the Holy Father against women, such a complaint is simply perposterous. Mary Magdalene and the other women aside, what about his own Mother Mary, who was surely the greatest of all Jesus’ “friends”? The idea that a Catholic Pope would intentionally “edit out” the Blessed Virgin Mary from a book about Jesus’ “friends” in general is perposterous, and yet it is perfectly understandable that she would not be included in a book about Jesus’ apostles. This fact alone demonstrates that this book had a particular scope and intention, which is being ignored by those making the present complaint. 41 Responses to "Pope Excludes Women!!!" Probably the problem is with the expectation that the title sets up, namely the use of the word “amici”/”friends”. In fact, the book is specifically about those who are recognised as “apostles” by the Church. Pretty defensive there, David! You’re suggesting that something as essential as the title of the book is … mmm … ambiguous or a cause of misunderstanding? A fairly ordinary effort at communication (again) isn’t it? And an assessment of this work does depend on what question you ask. If you find a view that is a little ‘out there’ like the Pope has edited women out, it’s a straw man easily demolished with (drum roll) disdain. But if you ask the question, could the Pope have come up with a work that reflected Jesus’ relationships with men and women, would it not have been better? Needless to say, I think it would. Isn’t that just as much a straw man argument though Tony? The intent of the book is clearly explained by the content of the book. Paul became an apostle well after Christ had died; there is – in no sense – any way in which Paul could have been a friend to Christ during Christ’s ministry. In fact, he was the very opposite. If the intention then is to discuss the apostles, why are you suggesting it would be somehow better to have a book discussing Christ’s relationship with men and women? That’s like saying, well, if the Pope had written a book about every single character in the Bible, wouldn’t that be better? Yes – if what you wanted to write was a book about all the characters in the Bible. If the Pope wanted to write a book about the apostles of Christ, then what he wrote was exactly what was needed to write. Further, the article itself explains it wasn’t even the Pope who wrote this book; rather it’s a collection of works by the Pope on these various characters. The Pope has talked on women in the scripture: it is just that the editor of this book thought to put together something about the apostles. It should not be a problem at all – unless someone tries to read a problem into it, why would it matter. If the ‘intent of the book is clearly explained by the content of the book’ then why the title, Tom? David alludes to the potential for misunderstanding and I think he’s right. To me it’s pretty clear: if he (the Pope or the editor) meant ‘friends’ in a general sense then it would have been better to include women, if only because it is clear that Jesus had women friends. If he meant ‘apostles’ then the title should’ve reflected the content. because language is homonymous. One word can have several senses to its meaning. Failing to adduce the correct sense of the term from reading the title alone is called, I believe, ‘judging a book by its cover’. The word friends in this case is used to refer to the apostles (which Christ does when at the last supper, of which only the apostles were present, Christ refers to them as ‘friends’). And as I explained, it is common practice, even in English, to describe the twelve disciples to children as “Jesus’ friends”. No mystery there. Just adults getting the thing muddled. But, but, David! It was you who asserted that ‘the problem is with the expectation that the title sets up, namely the use of the word “amici”/”friends”’. If there is a ‘problem’ then it’s reasonable for adults (let alone the intended audience) to get things muddled up. If there was no ‘problem’ — no likelihood of adults getting things ‘muddled up’ — then you probably wouldn’t have had anything to write about in the first place. Tony – the problem is with the expectation that the title sets up. However, this doesn’t mean that the title itself is problematic. Just because some people have read the title of the book, and then failed to understand its meaning is not a reflection on the title. It is a reflection on them. The Pope doesn’t have to have every book title be in the manner of: ‘This is a book intended for children for them to learn about the apostles of Christ’. The point is – the failure of people to understand the several possible senses of the word ‘friend’ is why this has become something even discussed. Not the Pope’s fault, not the Vatican’s fault. Don’t judge a book by its cover. This isn’t hard – why should the Pope have to use idiot proof titles? Lots of people use titles that are more poetic, or are intended to reflect something other than the immediately obvious. It’s hardly reasonable – the concerted efforts of people to misunderstand are not justification for saying bad Pope don’t talk about Jesus’ friends when you really mean apostles. David’s assertion is that the title set’s up the possiblility of misunderstanding. I think that’s obviously so. So, itt’s not a choice between ‘Friends’ and ‘This is a book intended for children for them to learn about the apostles of Christ’ — a classic straw man! It’s more a like a choice between between ‘Friends’ and ‘Apostles’. As you say, not that hard. The choice of the title is this important, if, and only if, it is acceptable and reasonable to judge the book by its title. The use of ‘friends’ in the title refers to both a common practice in explaining to young children who the apostles of Christ were, and also to the scriptural tradition of Christ referring to the apostles explicitly as His friends. The use of the term is entirely acceptable. Any misapprehension on the part of any reader would have been readily cleared up simply by going beyond a superficial analysis. Any confusion on the part of commentators reflects the lack of ingenuity and honesty in their interpretation. To accuse the Pope of ‘editing out’ the women (for whatever reason the Pope might have wanted to edit out the women of Scripture?) by misunderstanding the title of a book this blatantly is nothing to do with the choice of words in the title. It is dishonest. If I read ‘The Line Through The Heart’ by Budziszewski and he doesn’t actually talk about lines on the heart, but rather refers to the divide that sits in Man between good and evil, should he be corrected? Hardly. The title makes sense once the content of the book is properly understood. Criticism for poor use of language is misplaced and dishonest. Criticism for poor use of language is misplaced and dishonest. Well, I guess that’s that, then. “Better” than what, Tony? Than a book about the apostles? No. It would just have been a different book about a different subject intended for a different purpose. … and a different title. I think the reaction to this book is just priceless. Do they really think that the Pope personally chose this title just to annoy them? That this book, intended for a very different audience, was created just to engage their marginal concerns? There are nutters who are convinced that Jews sit around all day hatching plots. Likewise, these chaps think that the Pope is constantly scheming against their pet projects. Their views are not that important. To the Pope, or to me. The title is chosen by the publisher, guys, not by the editor (whose conception this book is) and still less by the pope, of whose discourses this book is an anthology. The Pope will have given permission for his discourses to be selected and anthologised in this way; I doubt if he had any further involvment with the book. The publisher is not the Vatican press, but a commercial publisher in Milan. Is the title unfortunate? Slightly, if it might convey the idea to impressionable young minds that Jesus was only friends with boys, and avoided girls because they are sissies who play with dolls, cannot catch a ball and cry all the time. On the other hand, the subtitle to the book makes it clear that it deals only with the “Apostles and Saint Paul”. Does the publisher care about the possible misleading of young minds? Not greatly; he wants to sell the book. And, given his target market – kiddies and their grandparents – Gli Amici di Gesù is more saleable than Gli Apostoli di Gesù. If this is an error, it’s a minor one, and one far removed from the Pope or the church. Frankly, there are bigger errors that we could with more justice lay at their door. But a headline that reads “Publisher Edits Out Women from Among Jesus’ Friends” doesn’t quite have the same grip that that “Pope Edits Out Women from Among Jesus’ Friends” does. Quite. Piccola Casa Editrice aren’t the only ones trying to make sales. On the other hand, since I am an equal opportunity sanctimonious pain-in-the-arse, can I take this opportunity to hint that the coverage of this story here on this very blog may also have been distorted by preconceptions, even – dare I say it – by An Agenda? You say that the National Catholic Reporter “joined in” complaints about the title to the book. In fact the only report I can find of this in the NCR presents the matter fairly straight up, and explicitly makes the point that the book is about the apostles; the criticism and complaining is found in comments on the story posted to the NRC website by readers. Attributing these comments to the NCR is a little like attributing Gareth’s views to you. This whole case of “manufactured indignation” shows me, yet again, that what the Catholic Church needs is an infallible ex cathedra definition that women cannot be ordained — “ecclesia nulla habere facultatem,” as John Paul II put it — to the episcopate, presbyterate or diaconate. Then, once the screeching and denunciation has worn itself out, and the sisterhood of would-be priestesses has flounced off to the Anglicans or some Gnostic sect of their own creation, the Church can get on with its business of worshipping God and mediating salvation to those who respond to God’s call to her unity. I tend to agree with you about a clear “NO” on this issue. Last night I was with some Anglicans and Catholics and heard again the old tune “The Pope hasn’t said ‘no’, he’s just said he doesn’t have the authority. What would give him the authority?” There seems to be a mistaken understanding here about the nature of “authority”, ie. that it is something you can manufacture or discover as you go along. Of course, the very etimology of the word says that it is something that stems from the source, and so if the “authority” is not there from the source (ie. the very beginning), it won’t be there later on either. So David, if it is a clear ‘no’ and it is from the source, how do explain married priests in other rites? Upon whose authority do they operate? Confusion alert! the pope hasn’t said that the church has no authority to ordain [i]married[/i] priests; he has said that the church has no authority to ordain [i]women[/i] priests. Quite right, Pere. As you were, David. True. On the other hand, the church already teaches that it lacks the authority to ordain women. Declaring that teaching [i]infallibly[/i], as William advocates, will do nothing to change people’s understanding of what the teaching means. If they misunderstand authority, then they are likely to misunderstand a teaching about authority, regardless of the level of solemnity with which it is proclaimed. The church should be (and, of course, is) cautious about issuing infallible teachings, and I think this is particularly true of a teaching that limits its own authority. The truth is that it doesn’t ultimately matter whether the church has the authority to do X unless and until the church is minded to do X; until that day, there is no need for an infallible teaching about whether the church can do X. Remember, while the authority of the church “stems from the source”, as you say, the church discerns its authority over time, in a historical process. That was a highly controversial action at the time; many people until that point would have doubted that the church could do such a thing, and indeed its claims to do it at Trent were used by some Protestant advocates as proof of the overweening and unbiblical pride of Rome. I dare say that if you had asked earlier generations of bishops or theologians whether the church could do such a thing, many of them might well have expressed the view that it could not. The point is, the church didn’t know for sure that it could do this until it actually did it. It discerned, when the time came, that it did have this authority. The church now teaches authoritatively, if not infallibly, that it lacks the authority to ordain women. Since it doesn’t propose to ordain women, I don’t see that an infallible teaching is called for. The charism of infallibility is not given to make popes’ lives easier, and still less to drive people out of the church, but to protect the church from falling into error. Even if we grant attempting to ordain women would be an error, it’s not an error that the church is falling into. There is no occasion for invoking the charism of infallibility. Infallibility is an interesting topic. b)	The Church does not need an ex cathedra definition of something that is already an infallible teaching of the ordinary magisterium. I know this, and my advocacy for “an infallible ex cathedra definition” is so as deliberately to gob-smack the “priestess crowd” and get them to repent their heresy, or else leave. That aside, however, I think we do rather clearly need an “Ordinatio Diaconalis” to set alongside “Ordinatio Sacerdotalis” from 1994. Inspiring stuff, William. A ‘killer blow’ to the ‘priestess crowd’, eh? Mmm. I don’t think the charism of infalliblity was given for this either. You’re trying to provoke a schism, William. Don’t expect too much support from Rome in your endeavours. I think the whole idea of Ordinatio Sacerdotalis was to achieve what you are calling for in an ex-cathedra prouncement. Indeed, I don’t think it could have been any clearer. One think I have learnt about those that wont listen about women priests and artificial contraception is that will not listen no-matter what….. Sometimes it is best to take the Lords advice and realise that if people wont listen, shake the dust of your shoes and move one. You’re trying to provoke a schism, William. Thats twisting William’s words a bit too far..?…?? I ask you, who couldn’t be cut down with ‘infectiously delirious heretics’ and ‘made wanton with the Zeitgeist’? Your words are like rapiers, William. He’s made it clear, in two posts, that he wants those who favour women’s ordination to leave the church, and that he wants to facilitate, as Edmund Blackadder would have put it, their velocitous extramuralisation. The sneering and dismissive language he uses in those posts underlines the violence of the passion with which he wants them out. And since I posted on this he’s repeated the same thing in a third post. And he’s open about the fact that his reason for advocating an explicitly infallible statement is that he sees it as a useful and effective tool to achieve that end. Blackadder: Yes I have, and it’s so cunning you can brush your teeth with it. Bishop of Bath and Wells: [having been blackmailed by Blackadder] You fiend! Never, in all my years, have I encountered such corrupt and foul-minded perversity! Have you ever considered a career in the church!? In fairness to William, he said that he wanted the ‘sisterhood of would-be priestesses’ and then the ‘priestess crowd’ to be ex-communicated as opossed to those that ‘favour’ (which could mean anythink) women’s ordination. Obviously those who have themselve ordained and those who ordain them are already excommunicated. I understand William’s advocacy as being directed at those who favour, work towards, demand, promote, look forward to, etc, the ordination of women. His talk of “screeching and denunciation” strongly suggests that, anyhow. But what of it? We are now discussing exactly who it is with whom William wants to promote a schism. But to be having that discussion at all implies that he does want a schism with someone. I think we have a dark horse for the next Papacy emerging here. 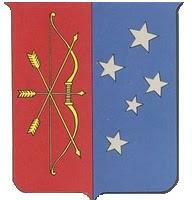 Not of this softly softly reform the reform and achieve nothing business from Papa Joe and Papa Karol anymore. None of this whimpering asking the faitfhful to stop discussing things. With William, it will be straight down the line ex-cathedra prouncements and if you dont like it liberal scum, well look forward to a life in the happy-clappy church’s with their women priestess, because the new Pope is serious about his flock being loyal and true. You femo-nazis are going to regret even thinking about disagreeing with the Pope once you see what William has up his sleeve. Pope William – I think I like it. Hey, that gives me an idea! If you get tired of waiting for Pope Benedict to provoke the schism you want, why not provoke a schism with him over his inexcusable failure to provoke the necessary schism? Habemus Papem, qui sibi nomen imposuit William! I think I’m ahead of the game, Pere, Gareth has already schismed me! Then, once the screeching and denunciation has worn itself out, and the sisterhood of would-be priestesses has flounced off to the Anglicans or some Gnostic sect of their own creation, the Church can get on with its business of worshipping God and mediating salvation to those who respond to God’s call to her unity. Thank God the Catholic Church has upheld the image of the Church as Bride and Spouse of the Bridegroom, Christ. One really has to torture the Biblical language to revise that. No female priests for me. As for the issue of the discipline of celibacy versus married priests, even here there are limits. In the Eastern Rites once ordained, an unmarried priest may not marry, and a married priest, if widowed, may not remarry and of course bishops are chosen from the monastic ranks. Many Catholics confuse this with the issue of women’s ordination which is an entirely different matter. I’m beginning to think that there should be a variation of Godwin’s Law for online Catholic DBs or blogs that states something like ‘as an online discussion grows longer, the probability of someone inviting others to join another church grows higher’. – a genuine enquiry, as in ‘why, with those views, would you want to stay?’. – a suggestion, as in ‘have you thought that you’d be better off in x?’. – a statement fairly unambiguously and uncharitably delivered, as in ‘p*** off you don’t belong with us‘. The clear implication being that ‘we’ are the arbiters of the ‘line in the sand’ and they don’t give a toss where you go as long as it’s away from ‘us’. And, just to be clear, I’ve heard it applied from the ‘right and left’ (for want of better terms) of church politics.